It isn't often that we can admit to reviewing a piece of high technology that was both designed and - crucially - built in the UK. When it comes to consumer tech, this semi-United Kingdom lags behind Asia and North America, and, in many cases, the rest of Europe. So it is with a degree of pride that we happily took delivery of a telly from British brand Cello, and we certainly didn't regret it. We check out the Cello 43" Platinum Android Smart HD TV. What we have here is a 43" TV with Full 1080p HD resolution that runs on Android software. 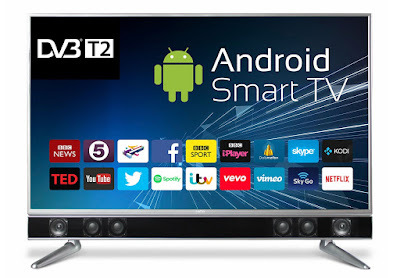 If you're familiar with the Android OS then this telly will essentially be like using a huge non-touch screen phone. But, y'know, you won't be able to fit it in your pocket. It is, first and foremost, a very good TV, and comes with freeview installed by default. Even if you have no intention of using the Android smart functions, you can hook it up to your aerial or satellite box and enjoy your favourite shows on a clean and crisp Full HD screen, either propped up on the included feet, or wall mounted on your 200mm wall bracket, as we did. As you plug it in, you might notice something that most modern LED TVs tend not to have: forward facing speakers. That is because the Cello 43" Platinum Android Smart HD TV has a built-in soundbar below the screen, which produces an impressive quality of sound. The bar itself might not rival actual, dedicated additional sound bars on the market, but it sure as heck sounds better than the traditional kind of speakers that come with TVs. The level of bass, and the clarity of spoken words and vocals, was great, and in our opinion its presence only adds to the TV's overall good looks. Anyway, the smart functions. 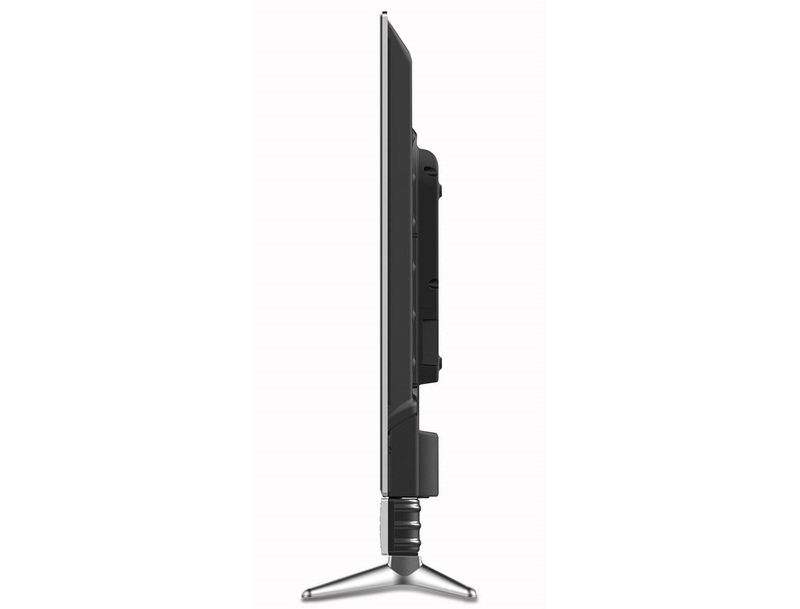 Hook the Cello 43" Platinum Android Smart HD TV up to your WiFi network and you're in business. You can then download all the usual Android apps that you've previously enjoyed on your phone, with particular emphasis on the likes of Netflix, YouTube, Amazon Video, and the BBC iPlayer. However, you can also download other non-TV apps, like games and email. That kind of thing can be easily controlled by the included Air Remote which features a Nintendo Wii-like motion pointer. A cursor will appear on screen, and you move it around and click on what you want. With Netflix streaming Full HD content, that Full HD display looks great. Everything runs very smoothly, and there were no instances of lag or crash when doing several things at once, or while loading the next show. It seemed like a fast system was at play, and it never left us felling frustrated. As well as WiFi and the traditional TV connectors, you get two HDMI ports, an optical input, and a couple of USB ports. These are great, as it allows you to connect up other external tech like consoles, as well as the likes of a Roku Streaming Stick, as you can in the pic (as we were reviewing it at the same time - handy that). 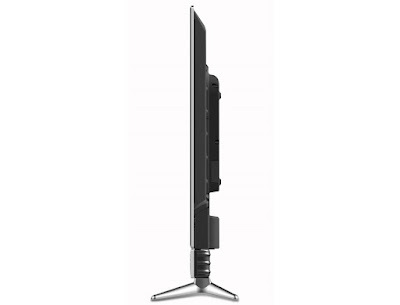 So we really love the Cello 43" Platinum Android Smart Full HD TV. But... one thing we encountered as a bit of problem was controlling certain apps with the Air Remote. The pointing cursor was great, but often things like Netflix had difficulty reacting correctly to it. There were a number of instances when we found ourselves 'stuck', unable to go back or select anything on screen. We've seen that before with apps designed for a touchscreen being used on a TV, but with a bit thought and experience, you should be able to navigate just about anything. Great display, excellent sound, and the versatility of Android make the Cello 43" Platinum Android Smart Full HD TV a real winner in our opinion. Decent price, too.